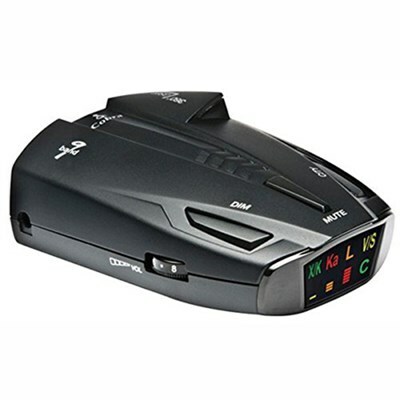 The Cobra Electronics ESD7570 Radar/Laser Detector offers reliable and proven performance. The unit features 360-degree detection of all radar frequencies and laser signals currently used in the United States and Canada. With Spectre Undetectable technology, this Cobra radar detector also makes you immune to Spectre I radars. It is equipped with an UltraBright Data Display that alerts you when you are under surveillance and provides you with a relative proximity of the target. This Cobra 9-band radar detector also alerts you of emergency vehicles in the area and road hazards that could potentially affect your travel.